This essay can be used as a worksheet for educational and training purposes as long as the contents remains intact and the author, Chris Solarski, is clearly credited. Please consider donating via Gumroad if you wish to use it in a classroom context. The first iteration of this essay was published back in 2013 in the form of a Gamasutra article, after I’d completed a book tour around North America (kindly supported by swissnex, AlpICT and the Swiss Arts Council, Pro Helvetia) to promote my first book, Drawing Basics and Video Game Art (DBaVGA). I had the privilege of speaking at institutions and events that included The Smithsonian’s The Art of Video Games exhibition, USC Interactive Media Division, and NYU Game Center. Although DBaVGA is aimed at game artists (it features artworks by the likes of Leonardo da Vinci and Nintendo side-by-side), this string of speaking events gave me an opportunity to present the core concepts of traditional art techniques adapted for game art to varied audiences that consisted of the general public, academics, students and professionals working in the games industry. Through this string of speaking events, I gradually developed a new perspective of my work, which enabled me to broaden its application to the entire game development team. What emerged was a game design framework that elevated the aesthetics of gameplay without sacrificing game mechanics. From left: English (Watson Guptill 2012), Japanese (Born Digital Inc. 2014) and Korean (Freelec 2015) editions of Drawing Basics and Video Game Art (Watson Guptill 2012), and Interactive Stories and Video Game Art (CRC Press 2017) by Chris Solarski. The 2-part essay that you’re now reading provides a disruptive game design framework based on Interactive Stories and Video Game Art, with original content and refinements that have arisen since the book was published. In Part 1, readers gain in-depth insights into shape language and composition, tracing the lineage of these long-standing techniques from antiquity to contemporary mainstream culture, where they are translated to adaptive composition for games in Part 2. 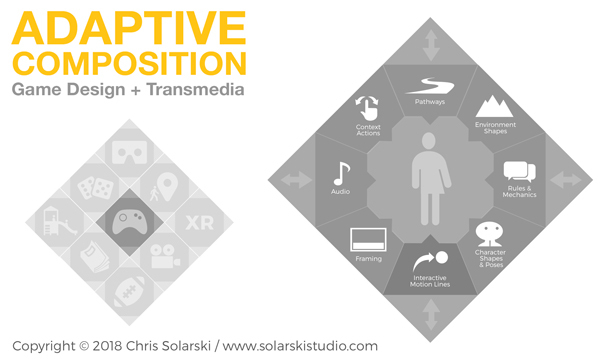 Adaptive composition is a high-level game design framework for heightening physical empathy and the sensory experience of players with a focus on art and narrative-driven games and transmedia. The aim of the framework is to provide greater creative control of the development process, challenge game design conventions, and illustrate the impact of traditional art concepts on the entire development team of game and narrative designers, artists, writers, programmers, musicians, game user researchers, etc. Practical exercises throughout the essay additionally provide design tools for averting ludonarrative dissonance, demonstrate the shortcomings of the magic circle metaphor, and common misconceptions regarding Marcel Duchamp's teachings on objects and meaning. This essay is therefore sure to be of interest for those that are already familiar with Drawing Basics and Video Game Art, and Interactive Stories and Video Game Art. Whether you’re a developer of video games, VR, AR or XR, a filmmaker, game user researcher, a gamification and transmedia expert, game theorist, psychologist, or simply interested in experiencing resonant and meaningful interactive stories—you’ll find the following insights will awaken a new appreciation for art and craft, and provide you with creative tools that can be actioned immediately to influence the user experience. Galileo was directly or indirectly referencing the philosophies of the ancient Greeks who, in turn, borrowed heavily from the Sumer and fabled Babylonian civilizations (c. 5000-539 BC in modern day Iraq and surroundings), which had developed complex metrology and astrology systems—resulting in the creation of arithmetic, algebra and geometry. The ancient Greek philosophers were first to mathematically define the Platonic solids (geometric forms) and believed these forms constituted Nature’s building blocks—referring to them as the roots of all things. Plato (c. 425-347 BC) associated these root forms with the classical elements: (excluding Air and Ether) Water was associated with the spherical icosahedron; Earth with the cube; and Fire with the pyramid (tetrahedron). These associations were based on intuitive sensory deductions that we can cross-reference with objects in analog and digital games, as follows. The classical elements reinterpreted as video game items. From left: spheres in the Super Monkey Ball series by Sega, blocks in Minecraft (2009) by Mojang, and the Hookshot tip from The Legend of Zelda: Ocarina of Time (1998) by Nintendo. We instinctively understand that a sphere is dynamic and smooth—capable of fluid-like movement—and the reason why spherical forms are used for billiard balls and in digital games like the Super Monkey Ball series, and Sonic the Hedgehog’s spin moves. A cube is solid, stable and the only regular form that tessellates in 3D Euclidean space—traits that see it used as Earth-like building blocks in games like Jenga (1983), Minecraft (2009), Tetris (1984), and freestanding Chess pieces dating back to ancient India. Unlike the smooth sphere and sturdy cube, the sharp points of a pyramid make it a physically disturbing object to handle because of the piercing, Fire-like sensations it evokes. Pyramid mostly feature as weapons in digital games—like the Hookshot in The Legend of Zelda series, or arrow tips in Horizon Zero Dawn (2017)—but rarely in analog games because the form’s sharp points are dangerous and not child-friendly. It would be inconceivable to switch the shape language between game elements mentioned above, and have each continue to function in a manner comprehensible to players (think pyramidal billiard balls or spherical arrow tips). Hence, why the ancient Greek’s arrived at their concepts for the classical elements. Early Hindu and Buddhist texts indicate that the ancient Greek philosophers weren’t the only cultures to connect the classical elements with the sphere, cube and pyramid—referencing each form’s tactile qualities and the senses of mobility, fluidity, solidity and temperature. Why this occurred is, in part, because the sphere, cube and pyramid constitute a universal shape language. Despite the above three objects being made from glass, changing the material’s shape language greatly alters each object’s aesthetic and functional value. Understanding shape language requires overriding an object’s unique meaning to appreciate its presentation in the context of lines, shapes and forms. For instance, the three objects above are all made of glass, which is a brittle material that can be sharp and very dangerous to handle. This common association with glass is greatly affected by modifying its form, which alters the aesthetic value and how we interact with it. Appreciating an object through pure shape language makes it easy to understand why, say, a glass marble (above left) feels safe to throw and roll in traditional games of marbles; why a glass cube (above middle) has the mass and stability to be used as a paperweight; and why a glass pyramid (above right) can be imagined as a spearhead—an object you certainly wouldn’t consider throwing around in casual, everyday situations for fear of hurting somebody. The tactile, sensory associations that we attach to shape language modify the meaning of virtual or real-world objects. What are the origins of shape language and how universal is it? And, what practical value does shape language have for game design for art and narrative-driven games? To answer question (1), we must dig deeper into shape language and its various applications throughout history. The expressive value of shape language is familiar to those in applied art fields but often misunderstood or dismissed by those outside of applied art fields, which is why the following sections serve as an essential primer for the entire development team, including those working in fields like game design, game programming, games user research (GUR) and user experience design (UX). We can answer question (2) only once the fundamentals of shape language have been thoroughly reviewed. 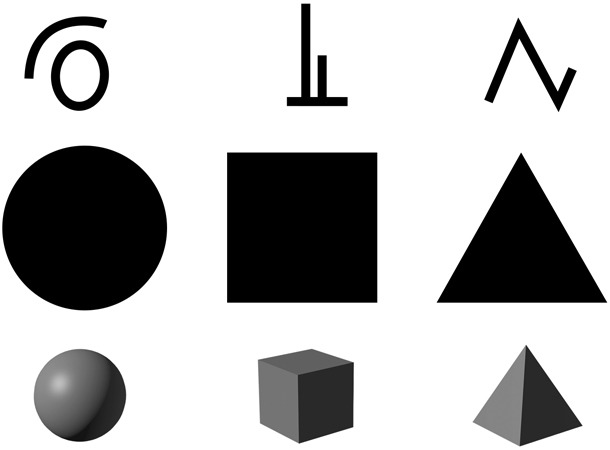 Shape language derives from the three primary shapes—the circle, square, and triangle—which can also be represented as lines (curved, straight and angular lines) and forms (spheres, boxes and pyramids). For simplicity, I will refer to them collectively as primary shapes unless a specific reference is needed. The three primary “root” shapes: the circle, square and triangle are the basic components of humankind’s instinctual and universally understood visual language. Primary forms (the Platonic solids) are another legacy passed down to computer graphics from ancient Greek philosophers. If you’re a 3D artist you’ll recognize these forms from modeling software applications like Blender, Maya and Cinema 4D, where they are often referred to as primitives. Primitives are used as a basis for the development of an infinite variety of complex 3D objects. The process of modeling an object always starts with the artist picking a primary form that best approximates the final subject before it’s cut, stretched, extruded and hewn into shape. For instance, a complex tree may start out as a combination of simple spheres and cylinders; box forms can be used to block-in a vehicle; and the human head is often conceptualized as a combination of a sphere and box form. Why we (and the ancient Greeks) associate these shapes with their corresponding aesthetic themes has to do with Nature’s laws and millions of years of evolutionary biology that developed round forms for movement and speed, straight forms for balance and support, and triangular forms for cutting and tearing—evolutionary solutions for minimizing energy output (coincidentally, this is the same reason why the Fibonacci spiral or Golden Ratio is so prevalent in Nature). A square dolphin, a tilted tree, and round canine teeth would simply be inefficient forms for performing their intended functions. Engineers and artists dating back to prehistoric cultures around the world have studied Nature and recognized the value of these primary shapes—from rolling wheels to free-standing stone monuments and hide-piercing spears. This explains why humanity’s aesthetic response to shape language has remained constant throughout history, occurring in indigenous art and engineering from Australia to Africa and the Americas. Shape language is no less present in modern day engineering, which regularly looks to Nature for design solutions: in the aerodynamic shapes of airplanes, the vertical lines of skyscrapers and the sharp tip of an armor-piercing bullet (or your prized steak knife). The Dude (played by Jeff Bridges in The Big Lebowski (1998), by the Cohen Brothers) demonstrating shape language with nonverbals, from relaxed curves (left) to increasing angularity (right). Shape language is also present in human physical expression (known as non verbal communication, or nonverbals in social psychology circles) where a relaxed mood will naturally evoke low body tension and curves; rest, determination and strength evokes straight horizontal (prone) or vertical (standing) lines; and demonstrations of power, agitation, anger or stress result in muscle tension and edgy forms, as muscles tighten-up and the body readies itself in anticipation of a threat or show of force. Similarly, if you find yourself in the unfortunate situation of drowning, making graceful, ballet like gestures or holding a T-pose are not effective gestures to draw visual attention. Everybody understands that jagged, asymmetrical movements indicate a threat. This outward, physical expression of inner feelings can equally be evidenced via happy, stoic and angry facial expressions. Shape language even extends to spoken language where we find phrases relating to friendship, affection and kindness referencing the circle (i.e. having a soft spot for somebody, a circle of friends or being a softy); phrases that relate to honesty or dreariness reference the square (i.e. morally upright, the straight and narrow, being a square); and phrases that relate to aggression or bad judgment reference the triangle (i.e. sharp look, cutting remark, on the sharp end of a discussion, skewed perspective, an edgy character). The “bouba/kiki effect” further supports humanity’s natural propensity to link shapes with language and sound. Be sure to watch the above video by Now You See It, for a general intro to the phenomenon, first observed by German-American psychologist Wolfgang Köhler in 1929. In short: shape language is all around us because it’s rooted in a primal, objective reality that is pervasive throughout Nature and transcends all cultures. Our automatic response to primary shapes and their associated themes is instinctive, sensed by our subconscious, through cognitive processes that come under gestalt psychology and feature integration theory. Because the world is so complex, our brains average our experiences with any number of real world phenomena, objects and events to create a mental “shorthand”—such as experiences with the color blue, and people named Charlie. Our subconscious uses this shorthand in a pre-attentive stage of cognition to assess basic features of objects before a more aware, focused attention stage kicks in. These automatic mental processes enable us to walk down a street, completely lost in our headspace, leaving our subconscious to keep a watchful eye on our safety. The circle, square and triangle are root shapes that our brains chunk because their base utilities—movement/circle, stability/square and slicing/triangle—are repeated perpetually throughout Nature (as echoed in the working methods of 3D digital artists and primitive forms). Our instinctive responses to shape language are part of humankind’s survival mechanism. Paul Eckman, the renowned psychologist and expert on nonverbal communication, calls such phenomena species-constant learning because they are experiences that are consistent across all cultures. Sharp, triangular shapes draw our attention the most because our survival instincts have evolved to keep a wary lookout for anything that is potentially harmful to our well-being. Artists and designers working in applied fields (concept art, typography, figurative painting, architecture, etc.) use shape language on a daily basis, although an individual’s sense for the aesthetic value of the circle, square and triangle may be instinctive, or conscious—learned through formal art education and the study of Nature (life-drawing, still life, landscape drawing). Studying Nature, in particular, increases an artist’s sensitivity to shape language. Study the objects above to decipher the shape language embedded within each design. What would happen if you switched the shape language around? You’d find that the aesthetic themes associated with each primary shape would conflict with what the designers originally intended. For example, would the circular Disney typeface look as family-friendly if it featured the triangular font of thrash metal band, Anthrax? Would the Bündner Kunstmuseum in Switzerland continue to project stability if its balanced vertical and horizontal lines were replaced with circles? Note that pathways in urban spaces affect us visually as well as impel us to walk, and thus feel, a particular way: from winding pathways in parks and places of relaxation; straight pathways for utilitarian journeys; and zigzagging pathways that are extremely rare in urban spaces due to their noxious aesthetic associations. When artists create something—projecting an abstract idea onto a canvas or form—the objective reality of shape language doesn't suddenly become obsolete. Art implies an alternate reality that resonates with us because it simultaneously echoes our lived experiences. The temperaments of artists Raphael and Giacometti can be evidenced in their respective pencil strokes. From left: detail of a self-portrait (c. 1500) by Raphael, and detail of a self-portrait (c. 1923) by Giacometti. Shape language also enables us to perceive the temperament of an artist by examining their signature pencil strokes. Compare, for instance, the pencil strokes of Raphael (1483-1520) and Swiss-born Alberto Giacometti (1922-1966). The respective self-portraits of each artist, above, show that the gentle-natured Raphael tended to draw with a curving, light line (left), while the angular, heavy-handed line-work of Giacometti (right), by comparison, suggests an agitated, intense personality. 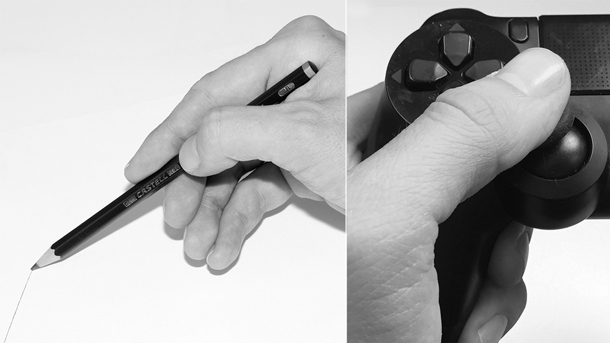 Drawing is the perfect low-cost way to study and experience interactivity because the physical sensations that occur when drawing closely resemble the player’s physical experience when using a game controller or other input device. Imagine taking a pencil and making a copy of the self-portraits by Raphael and Giacometti. Would the act of mirroring the gestures and intensity of each pencil stroke allow you to physically empathize with the artists? Such an exercise highlights an invaluable concept for game designers—the understanding that shape language experience through interactivity enables audiences to embody the aesthetics of an artwork. Physical empathy is the essence of what makes video games a unique art form, and a concept demonstrated by the following drawing exercise. Using a pencil or ballpoint pen, make a copy of the two signatures above. Accuracy is not important. Pay close attention to the physical sensations you experience while recreating each signature. Gestures with artistic flare are encouraged. When you’re finished, visit the end of this essay (*) to identity the authors. Did your physical sensations match with what you sense to be the temperament of each person—circular, dynamic lines for the left-hand signature that resemble the Disney typeface, and jagged lines resembling the Anthrax typeface for the right-hand signature? The signature copying exercise demonstrates that shape language can be used to orchestrate an audience’s gestures through interaction—evoking physical empathy towards real or fictional entities by having an audience reenact the lines (shapes) that they see. 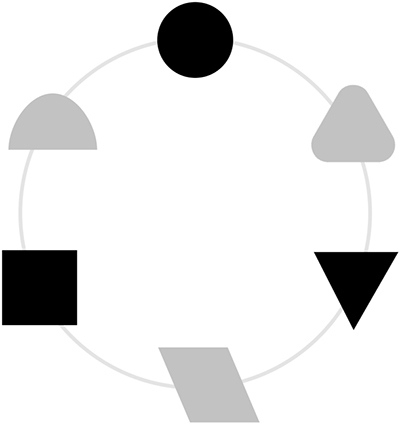 Another invaluable feature of shape language for game designers is that the universal affordance of circles, squares and triangles means that every member of the development team—game designers, game programmers, writers, artists, musicians, game user researchers, etc.—will have a common aesthetic understanding that each discipline can filter through their particular area of expertise. For the same reason, shape language also enables designers to communicate with international audiences of all ages that instinctively appreciate the utilitarian and aesthetic value of shape language. To be clear, these associations are largely shaped by our environment. We’d certainly have different feelings towards primary shapes if our bodies were crystalline and our day-to-day consisted of floating around in a vacuous liquid, void of gravity. But we don’t. The laws of motion, gravity and the softness of organic matter mean that shape language gives us universal affordances. No culture would think to keep sharp objects within reach of babies, and a triangular knife will cut round, supple flesh as sure as a person (or any mammal) will tense their muscles in response to pain, defense or aggression. Framed in this way, we may have a strong case for shape language in support of Raph Koster’s definition of games as “systems built to help us learn patterns for survival.” Nonetheless, lets refrain from making conclusions until we begin exploring Shape Language for Game Development in Part 2 of this essay. Shape language becomes more nuanced when we combine primary shapes to create secondary shapes, as illustrated by the shape circuit below, which is inspired by the work of Maitland Graves in the Art of Color and Design (McGraw-Hill 1941). The shape circuit presents a series of secondary shapes that share the physical and aesthetic properties of their two neighboring primary shapes. Thinking from an engineer’s perspective, we can objectively describe the rounded triangle as a threatening shape that has been made “safer”; the tilted box-form as an unstable, dynamic version of the upright box form; and the semicircle as an embodiment of both the dynamic circle and the stability of the square. A shape circuit illustrating how the three primary shapes can be combined to create secondary shapes with hybrid properties, such as the semicircle, skewed box form and rounded triangle. The triangle can also be objectively analyzed in more nuanced ways when we manipulate its orientation, apex and proportions. A symmetrical triangle resting flat on one side appears stable and balanced, like an imposing skyscraper seen in extreme perspective. Rotating the triangle, offsetting its apex and introducing asymmetry creates visual tension, as illustrated below with variations that align to four common classification of triangles: isosceles, right, acute, and scalene. A symmetrical triangle resting flat on one side appears balanced, becoming imbalanced if the apex is offset, the shape rotated or the sides made unequal—thus creating visual tension. The above set of triangles additionally illustrates that the aesthetics of each shape can be heightened through contrast. For instance, our survival instincts sense that the pointier triangle on the right can inflict more harm than the short stub on the left, which looks cute by comparison. However, as soon as a circle is added for visual comparison, the triangular stub takes on more threatening value. A whole host of secondary shapes can be derived from the three primary shapes, besides those suggested above. However, it’s important to note that the further a primary shape is diluted, the more ambiguous a shape’s objective utility and aesthetic value becomes. We’ve seen that shape language is rooted in objective, natural laws. Nature has evolved forms that align with the circle for movement, straight lines for stability and triangular forms for slicing. 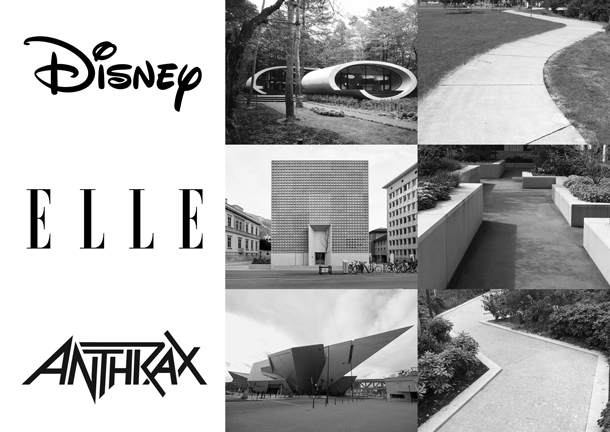 We can use these tactile, sensory traits of the circle, square and triangle—which ancient Greek philosophers assigned to the classical elements—to manipulate the aesthetics of objects as varied as typography, architecture and urban pathways. Shape language also gives us design tools for orchestrating physical empathy between artist and audience. It seems that looking at the world through the lens of shape language increases our ability to find aesthetic connections across Nature, art, design and engineering disciplines, and even a person's temperament and body tension. Where shape language gives us objective, universal affordance, cultural symbols give us narrower, subjective modes of communication, which is the topic of the next section. A cultural symbol is a base set of aesthetic and/or functional elements that collectively describe something simple like a common chair, or a complex culture-specific object like a figure, artwork or artistic genre. The meaning assigned to a cultural symbol varies greatly between individuals, and is influenced by the type and amount of exposure to the subject in a given cultural context. A series of chairs aligned to one of the primary shapes—the circle, square and triangle. From a designer’s perspective, the base set of symbolic elements that collectively describe a chair are the seat, a backrest and supporting legs. Any additional elements are superfluous to these base symbolic elements that, when combined, create the symbol, chair. Each chair above is essentially the same cultural symbol. 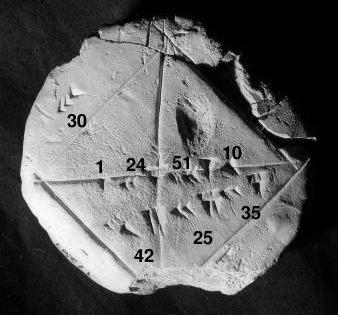 The only thing that has changed is the shape language—referencing the primal aesthetic and functional properties of a Sumerian wheel, Stonehenge and the Clacton Spear. Once the base symbolic elements of a cultural symbol have been defined, a designer can manipulate its shape language to their heart’s content. Aligning the object with one of the primary shapes will correspondingly set the visual tone of the object, while its cultural value will remain open to each individual’s interpretation. The same manipulation of shape language can be applied to an iconic fictional character like Tony Montana (played by Al Pacino in the 1983 film, Scarface), who went on to inspire Tommy Vercetti in Rockstar’s Grand Theft Auto: Vice City (2002). Tony Montana’s base symbolic elements include a facial scar, short dark-brown hair, black shoes, and a 70s blue pinstripe suit, white suit, or Hawaiian shirt. Designers can dramatically alter the character’s stylistic representation from realism to idealization and abstraction, to add new layers of meaning, but Tony Montana will remain identifiable as long as the base symbolic elements remain intact. 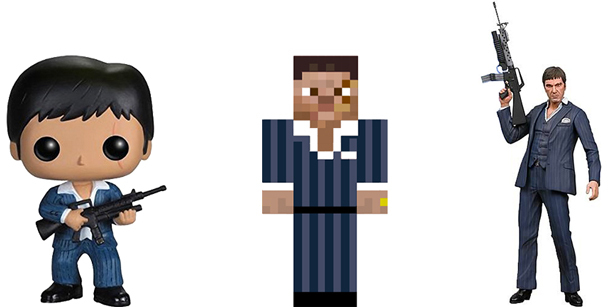 Tony Montana characters aligned to different primary shapes visual styles. From left: figurine by Funko POP!, custom Minecraft character “skin,” and an action figure by NECA. Referencing the nonverbal communication of The Dude, shape language is equally essential when dealing only with realistically represented cultural figures—allowing designers to convey the signature body tension of a character and subtly alter its visual tone while keeping the base symbolic elements the same. Alternatively, outfits can be varied to affect the character’s overall silhouette. Using shape language indiscriminately can result in the equivalent of casting actor Jack Nicholson to play a jovial Santa Claus. Framed Ink (Design Studio Press 2010), by Marcos Mateu-Mestre, features valuable tips for manipulating realistic and live-action character silhouettes and facial expressions with shape language. Framed Ink: Drawing and Composition for Visual Storytellers (Design Studio Press 2010) by Marcos Mateu-Mestre, is recommended for further reading on this topic. The illustrated book features important insights into composition for storytellers, and tuning character designs using shape language (like the examples below) using techniques informed by the author’s background in film and illustration. The validity of shape language may seem obvious to some readers but it’s not guaranteed that everybody on the development team will agree or appreciate the aesthetic and functional affordances of primary shapes and their derivatives. For instance, I personally encountered a prominent games user researcher, working for one of the world’s largest publishers, who declared that they’d gone “beyond formalism”—citing the teachings of the influential artist-philosopher Marcel Duchamp (1887-1968). Michaël Samyn of Tale of Tales likewise denounced via Twitter that shape language is “laughable” for the very same reasons, despite a well-known passion for classical art, which is founded on shape language. It’s perhaps important that we take a look at Duchamp’s work when influential game-art figures like Michaël are dismissing shape language, while leading game designers like Emilia Schatz openly use shape language in their workflow for titles like Uncharted 4: A Thief’s End (2016) and The Last of Us series (explored in Shape Language in Support of Gameplay in Part 2 of this essay). Bicycle Wheel (original, 1913), by Marcel Duchamp. One of Duchamp’s most famous works titled Bicycle Wheel (1913), is composed of a bicycle fork and wheel mounted upside-down on a wooden stool. 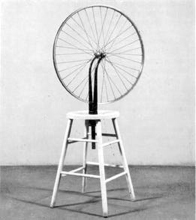 Duchamp was quoted as saying, “In 1913, I had the happy idea to fasten a bicycle wheel to a kitchen stool and watch it turn.” The primary lesson from such “readymades”—repurposed everyday objects, signed and labelled as art—was to highlight the arbitrary links between objects and meaning. 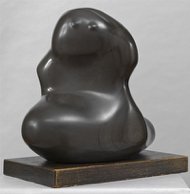 The belief is that there’s no absolute, objective way to determine an objects’ meaning that is universal because each viewer is influenced by their cultural background and unique experiences. In practice: yes, and no. The fact that nobody has ever questioned the supportive traits of the box-like stool of Bicycle Wheel, or that turning the object upside down would cause the artwork to fall or roll away, gives us some idea of where misconceptions lie. To better understand the intersection between shape language and cultural symbols, we can examine the triangle as a symbolic representation of the Trinity in Christianity. This visual depiction of the Christian doctrine is used to shape the composition of many classical religious paintings. Unlike Duchamp-inspired artworks that deliberately evade absolute interpretation, classical paintings referencing the Trinity—such as The Adoration of the Trinity (1511) by Albrecht Dürer, above—had a definite purpose, which was to convey Christian teachings to a mostly illiterate Church-going public. How much symbolic value an individual will attach to the triangle in a Christian context depends on their level of exposure to Christian teachings and Christian art. A fervent Christian will extract deep symbolic meaning while a non-Christian may discern no symbolism whatsoever. Symbolism and cultural conditioning extends to all other elements within the image, such as the identity of figures, their clothing, the medium of the artwork, etc. 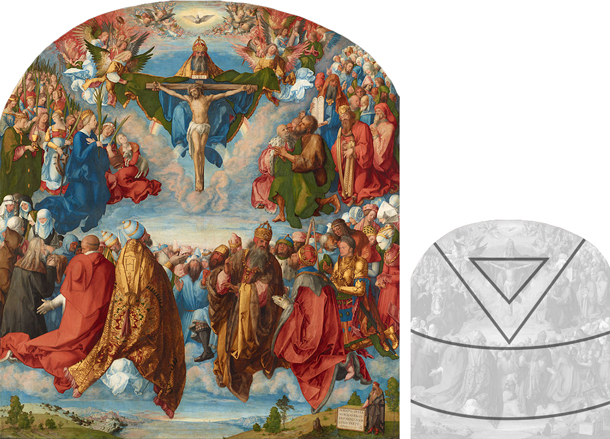 Despite the fact that the composition in The Adoration of the Trinity is based on a triangle referencing Christian symbolism, this does not absolve the effect of shape language and aesthetic themes associated with the sharp triangular shape. The viewer’s reaction to shape language and cultural symbols will always intertwine—with the latter being the strongest variable dependent on the viewer’s familiarity with the cultural objects being depicted. Cultural symbols define the overt subject of an artwork, while shape language sets the underlying aesthetic tone. Interestingly, not all classical paintings referencing the Trinity are based on a triangular composition, such as The Baptism of Christ (c.1450) by Piero della Francesca, and The Heavenly Trinity joined to the Earthly Trinity Through the Incarnation of the Son (c. 1677) by Bartolomé Esteban Murillo, pictured above. The triangle is undoubtedly implied in both images but Piero’s composition is structured on a framework of straight vertical lines, and Murillo’s on a circular concept. Take a moment to study all three of the above paintings by Dürer, Piero and Murillo. Can you sense how the shape language that each artist has selected for their composition influences the overall aesthetic impression? Imagine how each painting would be altered if its contents remained intact but the compositions were switched. The two paintings above make comparative analysis even easier because they are both painted by Raphael and both depict the Christian motif of Madonna and Child. Raphael’s interest in this motif was near-obsessive—resulting in a long series of paintings featuring the same 2-3 figures set within varying compositions. 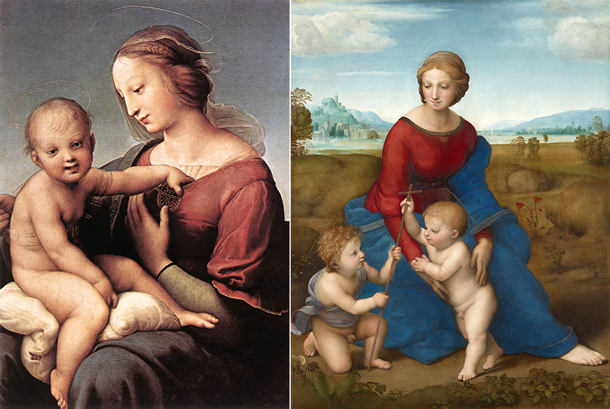 Explore the Niccolini-Cowper Madonna (1508) and Madonna del Prato (1506). Can you discern the primary shapes used for each composition? In the Niccolini-Cowper Madonna, note the curve of infant Jesus’ back, mirrored by the curve of Mary’s left upper-arm. In the Madonna del Prato, note Mary’s silhouette and how John the Baptist’s outermost foot (figure on the left) and Mary’s visible foot on the right create sharp tips for the triangular composition. Can you imagine how the overall aesthetic impression would be altered if the composition frameworks were switched? This phenomenon refers to the pre-attentive and focused attention stages mentioned earlier. Most viewers will remain entirely unaware of each composition's shape language, with awareness remaining at the pre-attentive stage. Because your attention has been drawn to the composition, you may be included to appreciate that both have a pleasing arrangement (a key feature of the technique) but the triangular composition definitively has a sharper, repelling aesthetic than the circular composition. This marriage of engineering sensibility and cultural symbols is what we define as craft. Irrespective of a cultural symbol’s base elements, aligning its broader shape to the circle, square or triangle will consequently align it to each shape’s aesthetic themes. Natural objects are also assigned meaning that varies between individuals, but shape language tends to have an overriding effect. 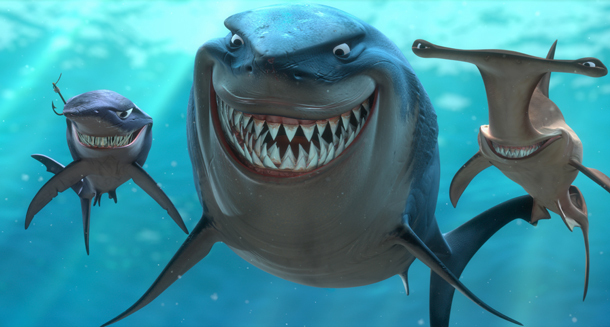 Frame from Disney Pixar’s Finding Nemo (2003), directed by Andrew Stanton. Circles and squares can likewise override cultural symbols although the effect is subtler because they don’t pose the same threat to our survival instincts as triangular forms. The classical painting examples above demonstrate that composition is integral to shape language, so we must find a way to add it to our game design toolkit. We’ll continue exploring the relationship between shape language and cultural symbols as well as take a look at the steadfast technical benefits of composition in a later section titled, Composition Functions. For the time being, to press home the universality of shape language and composition, we’ll explore the application of these principles in non-Western cultures in order to answer question (1), is shape language universal? It is often a surprise to learn the extent of cultural exchange in ancient times, long before high-speed forms of communication like the Internet existed. Islamic art is aniconic, which means that it’s comprised of symbolic images instead of literal representations. The reason for this it to avoid idolatry and the worship of, for instance, a painting or statue rather than Allah (the Arabic word for God). Islamic art is typified by designs that are built on combinations of repeating circles and squares that are often combined with foliage motifs (arabesques) to form intricate and complex geometric patterns. In essence, Islamic art is a style founded on the study of Nature—symbolizing Allah’s perfection (primary shapes) intricately combined to illustrate Allah’s infinite complexity. It is a symbol of the cosmos, enlightenment and perfection. The center of Earth is the symbol of God's eternal truth and should be visualized in its pure form. The shape’s divine truth can be understood by its presence in all creatures, where it’s multiplied, but its essence of fact remains in the center of circle. The square is placed between the circle and triangle. That is why it is known as the connecting element. The square is the most fixed and firm geometrical shape. Kaaba is one example of square Islamic architecture in which the mysterious world can be seen. Its four angles and its square shape indicate four pillars of the universe. If a triangle is placed on its base, it is a symbol of stability and balance. It is the most stable geometrical shape. It is like a firm mountain that has an aggressive and combative shape due to its sharp angles. It also connotes danger and fear due to having a peaked point. If the above sounds familiar, it’s because the associations are directly linked to the ancient Greek’s reverence of primary shapes as God’s perfect elements—the aforementioned roots of all things. Ancient cultures mixed much more than we tend to appreciate. In the case of Islam, a major influence was the historical rivalry between the ancient Greco-Roman empires and Persia (modern-day Iran), which led to many invasions and occupations and the appropriation of classical traditions by Islamic artists. Intellectual contributions from Islamic mathematicians, astronomers and scientists were essential to the creation of a visually unique and decorative style that stressed the importance of unity and order, and conformed to the teachings of Islam. The symbolism described above is adorned with spiritual meaning but the aesthetic references to shape language are incontestable. The influence of ancient Greek art and philosophy didn’t stop in Persia. The conquests of Alexander the Great (356-323 BC) into the Gandhāra region (modern day Northern Pakistan, India and Afghanistan) gave rise to Greco-Buddhist art, which later spread into the Indian subcontinent and beyond. Before the arrival of ancient Greek influence, Indian Buddhist art had also been aniconic—the Buddha being conveyed through his symbols. The first anthropomorphic representation of the Buddha was the result of ancient Greek and Buddhist cultural fusions that combined the spiritual symbolism of Buddhism with the realism (anatomy, drapery, etc. ), shape language and composition techniques of ancient Greek sculpture. The Gandhāra school gave rise to Buddhist sculptural art throughout Asia and, in turn, influenced all other religious art on the continent—continuing on to Korea, China and Japan via the ancient Silk Road trade root. 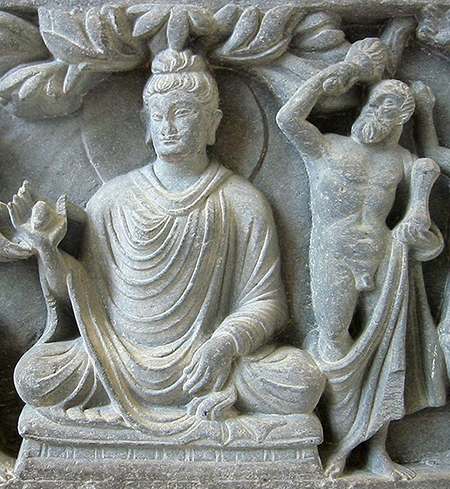 One of the most explicit examples of the Greco-Buddhist cultural fusion is the stone relief sculpture above, depicting the Buddha accompanied by his protector, Vajrapani, who takes the form of Hercules (known as Heracles in ancient Greece). In the context of shape language, Buddha’s symmetrical triangular pose serves as an aid to meditation that conveys a physical sense of serenity—taking the balanced aspects of the triangle with the rounded corners of the circle to create a tranquil secondary form that is complemented by the Buddha’s round body shape, drapery and the arrangement of accessories. 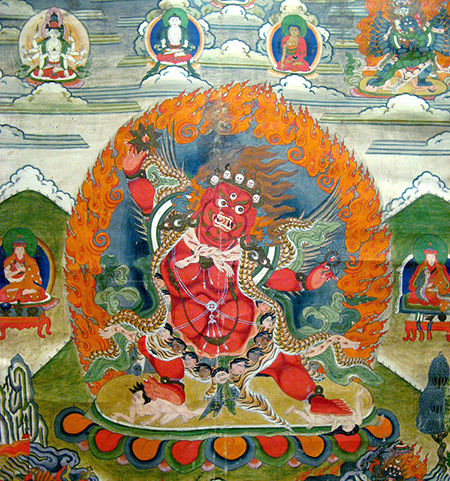 Detail of a Tibetan thangka depicting the Vajrapani in a sharp, asymmetrical triangular pose. Shōsan’s teachings are an extension of the signature copying exercise—activating the entire body, not just the hand. It seems that shape language, not only has the ability to affect emotions, but also evoke tactile, physical empathy if the audience is given an opportunity to reenact what they see—to embody the artwork. Since shape language has strong conceptual links to mathematics, what does this mean for game design and game programming, we may ask? The Japanese tradition of artists humbly recreating natural forms through physical empathy, yet again, references the signature copying exercise and is the reason why shape language is evident in Japanese art from this period. We also find composition techniques referencing ancient Greek art, via Dutch schools, such as the harmony of curved lines flowing down through the three figures in the Niwaka Festival in the Licensed Quarters (c. 1800) print, below-left; and an edgy, triangular composition and diagonal elements in the Shōno-juku (c. 1833), below-right. The unique styles developed by Japanese artists during this period went full-circle, having a tremendous influence on the Impressionist art movement in Europe, and artists like Édouard Manet (1832-1883) and Degas, once Japan reopened trade with the West—34 years before Duchamp was born. The influence of art techniques derived from the ancient Greek philosophers is easier to trace if we head West towards South and North America, where a rich tradition of indigenous art was overpowered by European art styles brought over by Spanish, Portuguese and French colonies (whose influence started to fade in the previous century as South American artists began reasserting their heritage). What this vast mixing of art and culture serves to illustrate is that ancient Greek art reached most corners of the world with each culture assimilating concepts like shape language and composition into local religious beliefs and symbolism. The Buddhist art examples, perhaps, hold the most relevance to game design because of its function as an aid to meditation—inviting viewer’s to physically empathize with an artwork by embodying the shape language of the figures being depicted. Ultimately, as video game developers, it’s important that we appreciate both modern and classical standpoints on aesthetics. While cultural symbolism remains subjective in a Duchamp sense, our associations with shape language, rooted in Nature’s laws, remain an objective form of communication that crosses cultural borders. We can therefore take advantage of our international audiences’ real-life experiences and chunking of primary shapes—incorporating these visual concepts (often intuitively) into our artwork to affect the audience’s tactile sensations even if physical contact and interaction were not a feature of the artwork. It is with some pride that we have modern day masters like Scott Eaton (who studied in the academy tradition at the Florence Academy of Art) working in video games and film to continue classical traditions—albeit using Pixologic’s ZBrush to create digital sculptures informed by ancient Greek and Renaissance techniques. Jama Jurabaev is also developing cutting-edge techniques that explore 3D composition and concept art for film using VR tools. However, shape language and composition is equally relevant to the discipline of game design and game programming, as will become increasingly evident in this essay. However, shape language and composition is equally relevant to the discipline of game design and game programming, as will become increasingly evident in this essay. 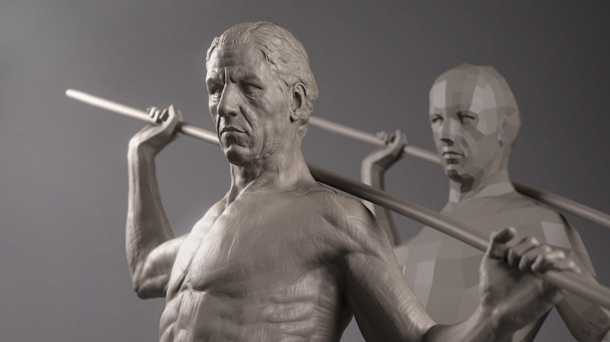 Classically-inspired digital sculpture made in ZBrush by Scott Eaton. In the context of video games and contemporary mainstream media, investigating the spread of shape language and composition across ancient cultures is, arguably, a redundant endeavor since mass communication and the Internet has replaced communication trade roots like the Silk Road. Popular culture—including games, comics, animation and film—has had a unifying effect on international audiences, which is why we’ll explore instances of traditional art techniques in mainstream culture before examining the practical benefits of shape language and composition in game development. From left: Illustrations by J. R. R. Tolkien of a Hobbit hole, and Erebor, featured in The Art of the Hobbit (Houghton Mifflin Harcourt 2012). One of the most elegant and widely watched examples of shape language in film is based on the The Lord of the Rings novel (Allen & Unwin 1954) by British-born J. R. R. Tolkien (1892-1973). It it little known that Tolkien was also an accomplished illustrator—often creating artworks for his stories, as showcased in The Art of the Hobbit (Houghton Mifflin Harcourt 2012). Whether Tolkien was conscious of his pure application of shape language is unknown. However, it’s clear that the good-natured Hobbits are based on a circular concept and all things “evil” are based on the triangle. Incorporating vivid descriptions of these shapes into the novel helped readers instantly appreciate the character traits of the various races based on the aesthetic themes associated with circular and triangular forms. Shape language is used in the The Lord of the Rings trilogy (2001-2003), directed by Peter Jackson, to underscore the aesthetics of characters like the Hobbits, Elves and Sauron. Shape language was taken a step further in The Lord of the Rings film trilogy where concept and production artists had an opportunity to bring the imagination of Tolkien even more to life. Every object connected to the Hobbits references the innocent, playful circle: from the curl of their hair; their rounded shoulders and shirt buttons; the round Hobbit holes; and even the rolling hills and winding pathways of Hobbiton, which create a blanket of safety (left column, above). The ever-composed, level-headed Elves align to the square, with a sense of tranquility evoked through their characteristic dangling strands of hair and the nestling of Rivendell and Lothlórien in amongst the vertical lines of trees (middle column, above). At the pointy end of the aesthetic scale, we find triangular shapes informing Sauron’s sharp fingertips, all the way up to the triangular volcano on the landscape (right column, above). This skillful weaving of shape language and cultural symbols means that the majority of audiences (and even members of the production team) don’t notice that each race has been subtly aligned to one of the primary shapes. Primary and secondary shapes form the basis of character designs in Up (2009) by Pixar, directed by Pete Docter. 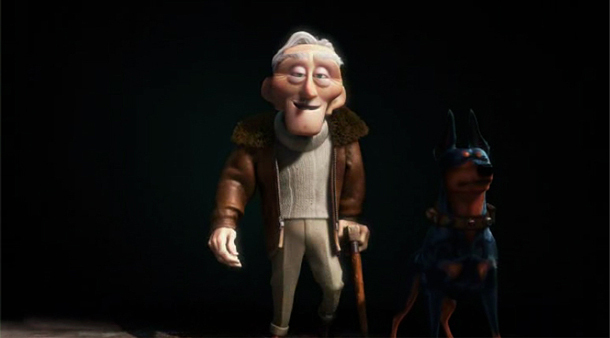 Another great reference for the application of primary shapes is Pixar’s Up (2009), directed by Pete Docter. For those who have seen the film, you’ll be familiar with the respective personalities of Ellie and Carl: the free-spirited energy of Ellie and the cautious, stubborn Carl. In the frame above, we can see that everything about Carl—his body shape, his pose, and furniture—aligns to a stable square shape concept. While everything about Ellie aligns to a dynamic circular shape concept. In effect, their inward personalities are projected outwards through shape language. Even the books the two characters are reading have their respective primary shape on the cover. 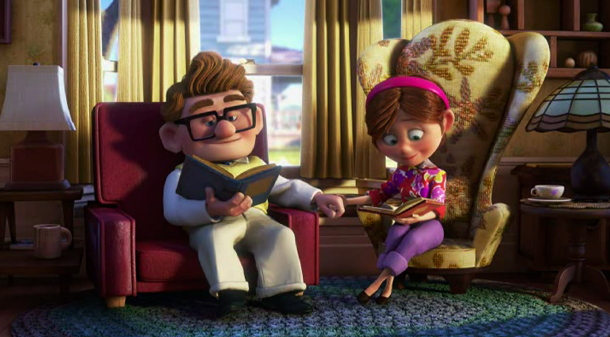 In addition to showcasing the characters’ respective shape concepts, the composition of the frame above, which gives equal space to Carl and Ellie—split down the middle where we find their clasped hands—supports the narrative because it suggests that, despite their aesthetic differences, they have a loving, balanced relationship. Can you spot the visual suggestion of a valentine heart embedded in the negative space between the two figures? The character designs of Edward and his canine right-hand, Alpha are based on the hexagon and triangle, respectively. Frame from Up (2009) by Pixar, directed by Pete Docter. Without revealing too many spoilers, characters in Up with increasingly hostile intentions are depicted with increasingly angular shapes. This is a visual technique echoed in Pokémon, where creatures become more angular as they evolve to imply increased power and aggression. In Up, Charles F. Muntz’s forms, for instance, are based on a hexagon—suggesting a dynamic circle that has been tempered. His canine sidekick, Alpha, is based on the triangle. Such a pure use of primary and secondary shapes helps to visually distinguish each character. Disney and Pixar are particularly fond of using shape language in an idealized manner because of their universal affordances—allowing their films to be easily understood by kids and adults alike, irrespective of cultural background. Figures framed in a triangular composition in Seventh Samurai (1954), directed by Akira Kurosawa. The multi award-winning Japanese film director and screenwriter, Akira Kurosawa (1910-1998), is perhaps the most venerated director when it comes to composition in film—admired by Hollywood legends like George Lucas. 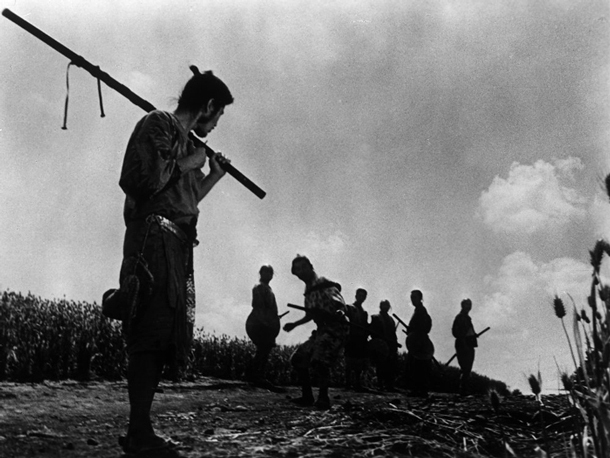 What is special to Kurosawa’s films is a painstaking consideration for the overall placement of elements within the frame, creating elegantly simple compositions that underscore the narrative. Take, for instance, the above frame from Seventh Samurai (1954), which depicts a confrontation between figures that have been composed to form a triangular shape. 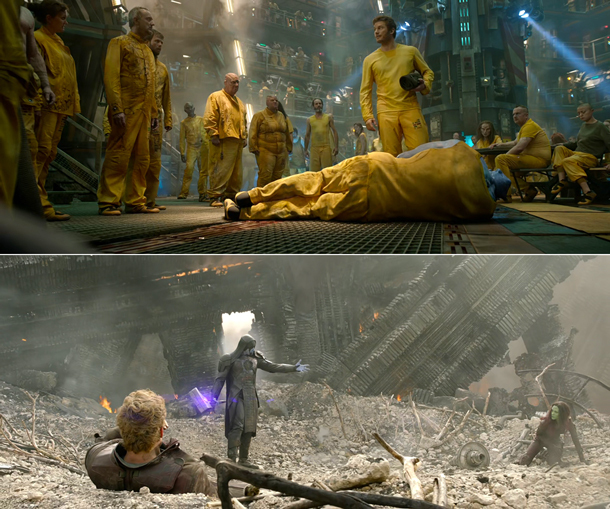 A triangular (upper-frame) and skewed box (lower-frame) composition in Guardians of the Galaxy (2014), directed by James Gunn. The cinematic compositions in Guardians of the Galaxy (2014), directed by James Gunn, have a Kurosawa-like elegance (above). Scenes throughout the film have been carefully arranged to create engaging compositions that aesthetically reference the Renaissance paintings of Raphael, et al. Note the triangular composition created by the considered placement of figures in the upper image, and the skewed box composition in the lower image (created by the three figures and the environment). Even to the trained eye, these compositions are easy to miss in the midst of action but they support the narrative’s tension and significantly ease readability of the scene by reducing visual complexity (which is comparatively static when considered alongside an average 3D action video game). ​Shape language in TV series. From left: HBO’s Game of Thrones (2011), and AMC’s Dietland (2018). Shape language and composition techniques are also to be found in TV series, from high-budget productions like Game of Thrones (2011), and the humbler Dietland (2018), based on a novel by Sarai Walker. In particular, notice the deliberate zigzagging line in the frame from Dietland (above right), which visually implies restless sleep without the need for movement. Audiences subconsciously find such carefully orchestrated images pleasing because they sense the universal order, even if they can't articulate why. Tilted frames in One Piece, by Eiichiro Oda, are linked with a jagged composition line to underscore the action. 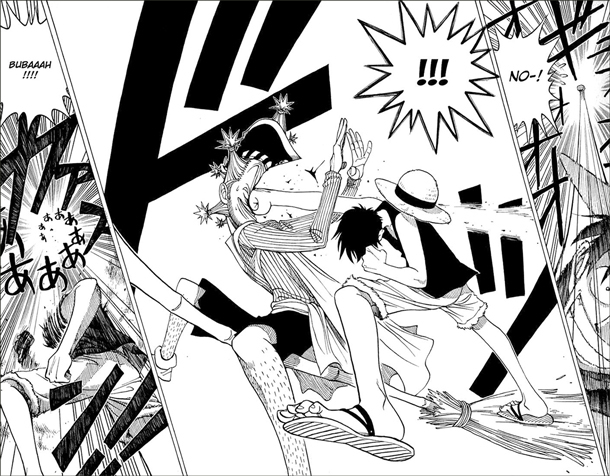 We also find shape language in comics, such as the Japanese manga, One Piece, by Eiichiro Oda. Note that the battle above between the two super-pirates, is set within frames that have been tilted to heighten the visual tension. Additionally, there’s a jagged line that travels from right to left (the Japanese reading direction), created by the motion line that goes into the punching hand, turning downwards abruptly at the pirates face towards the broom head, and then turns again to run along the broom handle. The composition line in One Piece is essential to conveying the narrative and flow of action. The line is the story. Change the aesthetic quality of the line and you change the overall tone of action. We see a similar application of composition lines in the page below from Hellboy by Mike Mignola. Using the techniques of the Renaissance masters, Mike Mignola manipulated every element of the page to covertly direct viewers to key narrative elements along embedded lines created by the deliberate placement of figures, gestures forms and silhouettes, drapery, shadow edges, and environment props. A line can be traced from the upper-left to the lower-right frame before visually guiding readers to the next page. However, the central frame features the most explicit compositional shape—where fairies have been placed in a circle around the female figure—as if to set the overarching theme of the page. A page from Hellboy by Mike Mignola, accompanied by a composition analysis. This is a great example of composition encouraging holistic design (working from broad concepts to small details), where any extraneous elements have either been removed, subdued or made to align with the composition. The tone of each frame changes in accordance with the aesthetic quality of the dynamic composition line. As stated already, the line is the narrative. Change the aesthetic quality of the line and you change the aesthetic tone of the cultural symbols being presented. 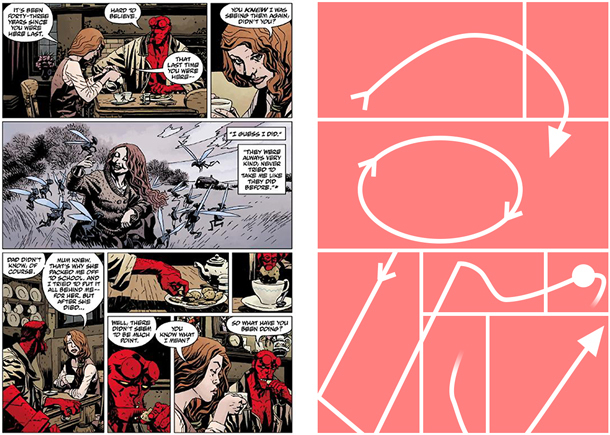 Fight scenes in Hellboy, by Mike Mignola, shift the shape language towards a sharper aesthetic. 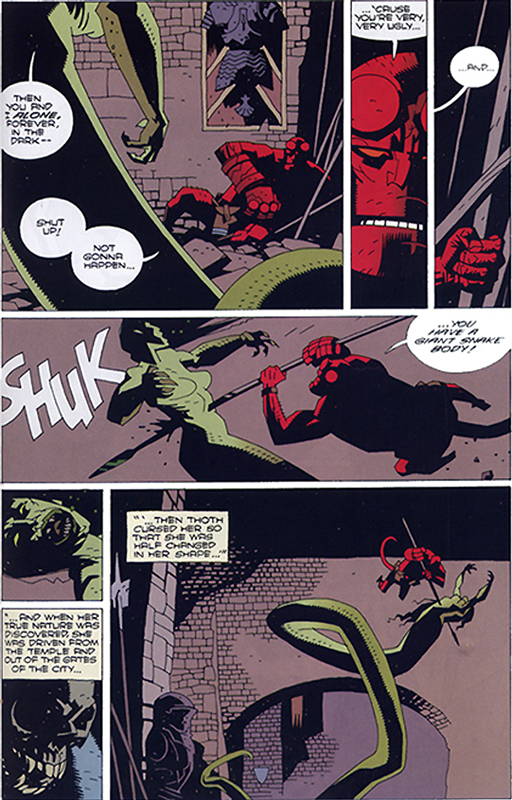 The line quality of the composition shifts to an angular quality when Hellboy is placed in a fight scene—emphasized by the middle frame of the page above, which Mignola has split diagonally using Hellboy’s spear to form two triangles. Also note the instances of red, which identify Hellboy. Can you see what shape they form when viewed together? It’s a downward-pointing triangle that ends at the spear tip in the lower-right frame. This holistic approach to design using shape language and composition means that the overarching narrative makes an instant impression, at a glance, before readers have had an opportunity to appreciate the details or read the speech bubbles. 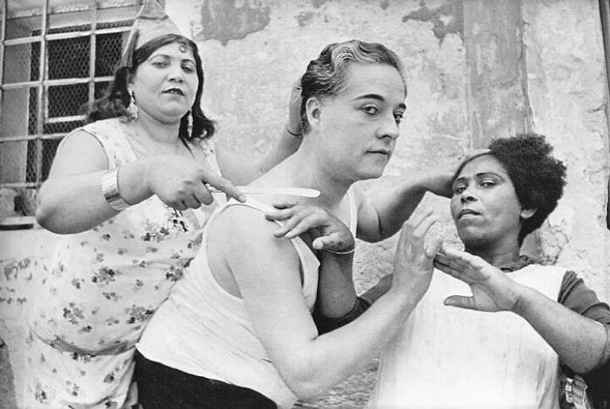 Girls doing each others nails, Spain (1933) by Henri Cartier-Bresson. Henri Cartier-Bresson (1908–2004) is still considered to be one of the greatest photographers of all time. Before taking-up photography, Cartier-Bresson studied painting, with the bulk of his formal training taking place at the Lhote Academy—a private art school run by the Cubist painter and sculptor André Lhote. Cartier-Bresson would be taken to the Louvre to study classical paintings where he developed an admiration for Renaissance masters like Jan van Eyck and Piero della Francesca (the artist that painted The Baptism of Christ). His teacher’s manifesto was to link French classical painting traditions to Modernism. Cartier-Bresson regarded Lhote as his teacher of "photography without a camera." It is therefore no surprise that Cartier-Bresson’s photographs feature a painter’s sense of composition and shape language, such as the above photo—a staged scene that echoes Degas’ figure-of-eight composition in Combing the Hair. This is a prime example of the artistic principle that a good composition can turn a mundane subject into a powerful image. 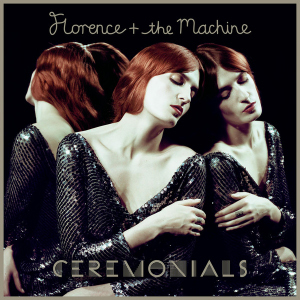 Cover art for Florence + The Machine’s Ceremonials album (2011), photographed by Tom Beard. Director and photographer Tom Beard achieved a similar effect to Degas’ and Cartier-Bresson’s with a skillful use of mirrors for Florence + the Machine’s Ceremonials album cover (2011), above. However, the jagged line created by Florence Welch’s repeating décolletage and angular hair styling gives the image an ominous undertone—increased by the high contrasts. If the tooth-like décolletage and hair contours were softened to curves, the overall aesthetic impression would become less aggressive. From left: Google Dublin offices, and Swedbank headquarters in Sweden. Shape language is also a key consideration for interior designers—literally shaping the ambient energy of the workplace and the way in which employees traverse the office space. In Google’s Dublin office (above left), note the curved pattern of the carpet, the rounded furniture, lamps and ceiling adornments. The Swedbank interior (above right) features a similarly rounded meeting area but the mood changes to an edgy, triangular aesthetic across the hall. Instances of shape language and composition in mainstream culture are widespread and affect creative disciplines in all corners of the world, unified by mass media and the Internet. If you dig further you’ll even find these principles used in high cuisine, like the multi-sensory dining experiences of Ferran Adrià, which draw inspiration from fine art, industrial design, science, photography and architecture. Old Masters like Leonardo da Vinci (1452-1519) and Raphael were likewise more than just painters and sculptors. They were poets, scientists, engineers, decorators and architects, too. To be top of your craft, it seems that a broad knowledge is essential. Recalling question (1), we can safely conclude that shape language and composition is indeed a universal language and circles, squares and triangles have an important affect on the audience’s emotions—whether covertly interweaved with cultural symbols (as in The Lord of the Rings) or used more explicitly (as in Pixar’s Up). Shape language even has the ability to override the meaning of cultural symbols. We even find shape language linked to sound and language with phenomena like the "bouba/kiki" effect. Now that we’ve firmly established the natural basis and artistic scope of these steadfast principles, it’s finally time to take a look at the nuts and bolts of shape language composition before tackling question (2): what practical value does shape language (and composition) have for game design in the context of art and narrative-driven games? * Answer to the signature copying exercise: top signature is by Barak Obama and lower signature is by Donald Trump. 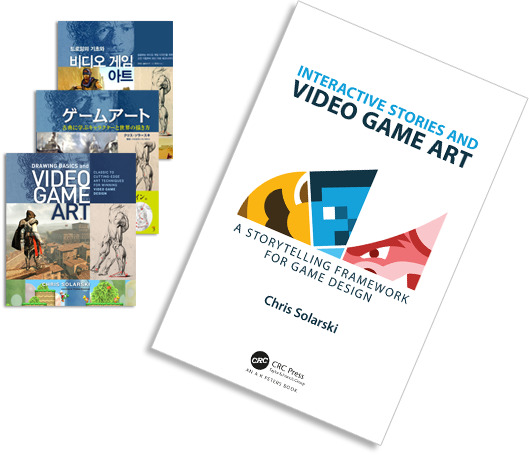 Interactive Stories and Video Game Art: A Storytelling Framework for Game Design is available direct from CRC Press or via Amazon and Barnes & Noble. For updates about future essays and work, you’re welcome to follow me on Gumroad, Twitter, Facebook and Instagram or via my homepage. A special thank-you to Julia Ayumi Bopp (MMI Human-Machine Interaction at the University of Basel, Switzerland), Martina Hugentobler, Samuel Smith (ProSapien), Corrinne Lewis (University of Utah), Kayleigh MacLeod, Stefano Maccarinelli (Stelex Software), Edith Solarski-Meier, Henri Suhonen, Lasse Juel Larsen (University of Southern Denmark), friends, family, and #swissgames organizations like Pro Helvetia and SAE Zurich that kindly supported my work throughout the years. I’d also like to thank Alastair Ingason, Lalima Singh, David Javet (University of Lausanne GameLab and Tchagata Games), David Canela (MODSORK), Robert Zubek (SomaSim), and Amit Goyal (SuperSike Games) for giving me valuable feedback on sections of this essay, and Benjamin Poole for directing me to Raph Koster's work. Chris Solarski is an artist-game designer and author living in Zurich, Switzerland. His two books are widely considered essential reading for anybody looking for holistic design tools for orchestrating the emotional and physical experience of players in games and transmedia. Chris' first book—Drawing Basics and Video Game Art—has been translated into Japanese and Korean. His second book—Interactive Stories and Video Game Art—has been described as gaming's equivalent to the screenwriting classic, Story, by Robert McKee and is endorsed by film director, Marc Forster. With kind support from the Swiss Arts Council, Pro Helvetia, Chris has given talks on interactive storytelling and game art internationally, including Disney Research, the Smithsonian's The Art of Video Games exhibition, SXSW, GDC Europe, and FMX. Chris is currently collaborating with internationally renowned artist, Phil Hale, to develop an indie game based on the Johnny Badhair series of paintings. 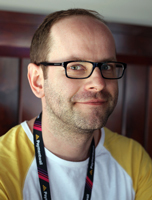 He also lectures at SAE Institute in Zurich and manages the IGDA Switzerland Chapter and Co-Chairs the IGDA Game Art SIG, which he cofounded with Natasha Bulatovic Trygg.